Opening a new work space is exciting! DO YOU KNOW WHAT TO EXPECT AND PLAN FOR ALONG THE WAY? 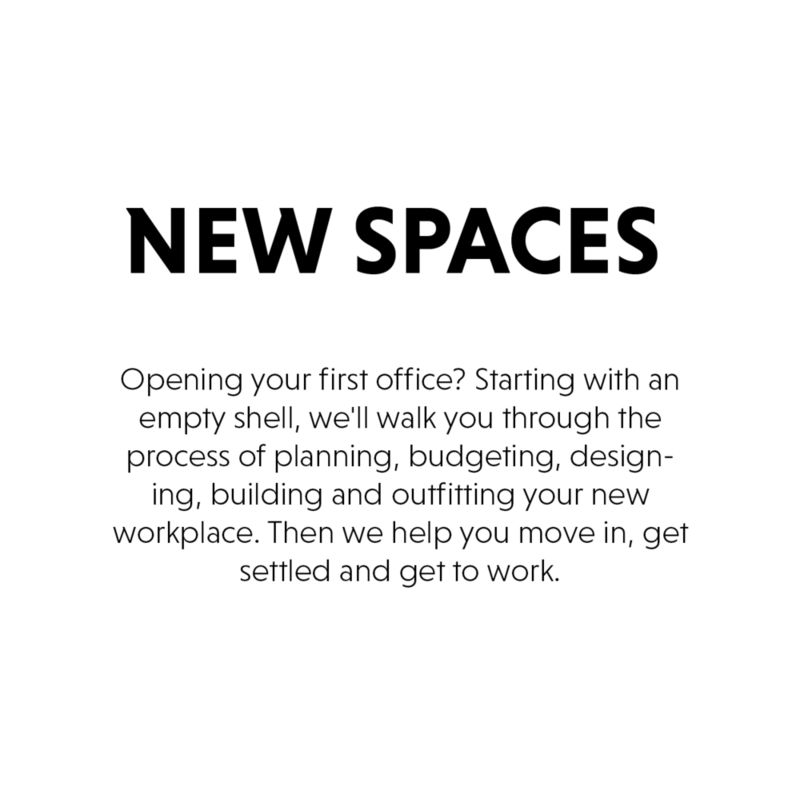 Designing and outfitting an office for the first time is a big deal. There is a lot of information to gather, solutions to consider, plus a ton of decisions to make. Not to mention the countless meetings, emails, phone calls and service providers to deal with. ctrl+shift+space takes the pressure off when we guide you through the process. We streamline decision-making, save money, and safeguard your time and resources. When you don't know what you don't know, it's best not to find out the hard way. You take care of running your business. allow us to take care of the rest.